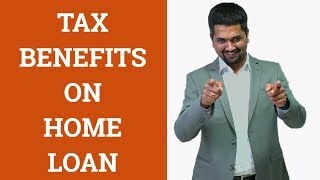 What are the Tax Benefits on Home Loan? Buying your own house is a dream come true for everyone. The Indian government has always shown a great inclination to encourage citizens to invest in house. This is why a home loan is eligible for tax deduction under section 80C. And when you buy a house on a home loan, it comes with multiple tax benefits too that significantly reduce your tax outgo.